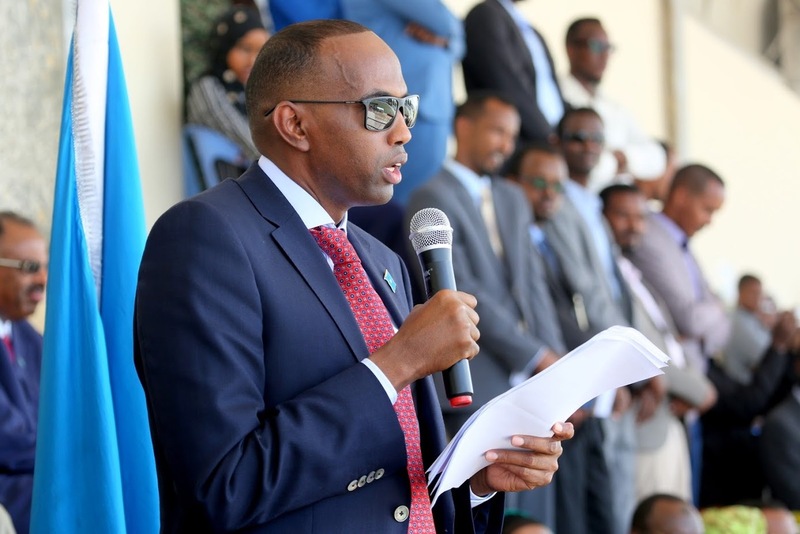 The government of President Mohamed Abdullahi Farmaajo and Prime Minister Hassan Ali Kheyre is out of control, using security forces to target opposition political figures. The attacks are part of a proxy war orchestrated and led by Fahad Yasin, the Chief of Staff of Villa Somalia, using the National Intelligence and Security Agency, current and former Al-Shabaab’s Amniyat operatives paid for and loyal to Fahad and Qatar. Fahad recently used the United Arab Emirates trained Somali National Army forces tasked to protect Mogadishu to raid the house of Senator Abdi Qeybdiid, escalating ongoing political and security turmoil for the failing Farmaajo – Kheyre government. 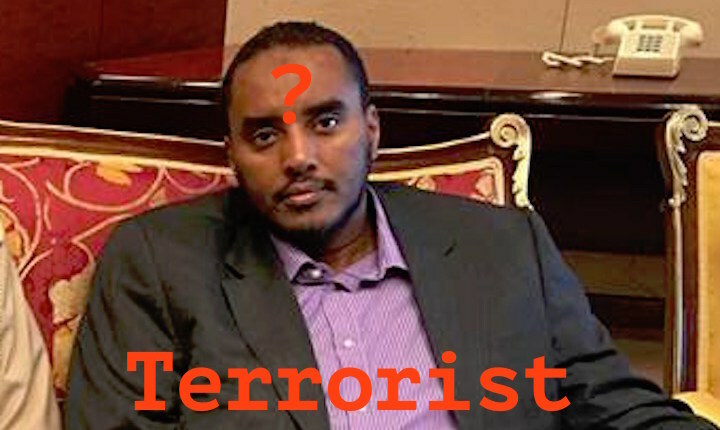 The illegal raid was an attempt to distract the parliament from the deadly attack against Abdirahman Abdishakur Warsame, according to reliable sources. The raid was a false flag, using soldiers transferred to Kheyre after the October Zoobe attack. False flagis an intelligence term when a covert operation is designed to deceive in a way that activities appear as though they are being carried out by individual, or nations other than those who actually planned and executed them. Fahad approved the raid without consulting with Farmaajo or Kheyre who were again asleep at the wheel. Fahad and his NISA minions were seeking overreaction to the raid to justify the use of more lethal security measures against other opposition figures. Recent reports indicate that Fahad and Qatar were unhappy with Farmaajo’s trip to Abu Dhabi and overtures between Somalia, UAE and Saudi Arabia that were facilitated by Egypt. Farmaajo accepted UAE, Saudi Arabia and Egyptian support, including weapons and ammunition to support the Somali National Army fight against Al-Shabaab and ISIS. Fahad secretly met with Qatari intelligence officers and Iranian intelligence as well as Hezbollah in Istanbul, according to western diplomats sources briefed on the meeting by western intelligence services. The reports state that Qatar tasked Fahad to create a wedge between President Farmaajo, UAE, Saudi Arabia and Egypt. He was also tasked to politically destabilize regional governments in Jubaland, Galmudug, Puntland and Southwest to install some of his loyalist. The goal is to weaken regional governments opposition to Qatar. Qatar, Iran, and Ethiopia as well as the Somali Muslim Brotherhood (Al-Islah) are waging a proxy war in Somalia. They seek to establish armed Salafi Islamist groups and without central or regional authority strong enough to exert control of the entire country. The UAE has emerged as Qatar’s rival in geopolitical struggle in Somalia. The United States, the European Union, the African Union, and the United Nations support federalism in Somalia and are working toward strengthening the security institutions. However, Qatar, Iran, Ethiopia and Al-Islah prefer a weaker Somalia state. Qatar has sponsored Al-Islah, a faction capable of spreading Doha’s influence and extending its geopolitical leverage in Somalia. On the other hand, UAE, and Saudis have invested substantial resources to counter the Muslim Brotherhood, notably in Egypt. Fahad has been close to Qatar-based cleric Yusuf Al-Qardawi known as the Muslim Brotherhood’s spiritual leader as well as Al-Islah leaders in Somalia and Doha. Qatar and the Muslim Brotherhood see Somalia as an important geopolitical battleground in their attempt to revive the Muslim Brotherhood and Islamist agenda. Reports allege that Qatar has been working with Al-Islah on establishing a new armed wing recruited from Al-Shabaab and financed by Qatar. The new Al-Islah militia is to be modeled after Hezbollah and Hamas and trained by Iran in Somalia and possibly Yemen. In addition, Qatar has established a war room at its embassy in Mogadishu to coordinate operations. Qatari and Iranian intelligence officers lead the team that includes Zakariya Ismail, the former Al-Shabaab’s Amniyat leader as well as many current and former Amniyat operatives recruited by Qatar for operations against opposition figures. Kheyre, Fahad, Zakariya, and Qatar intelligence officers planned the raid. However, the NISA field commander changed it from kill to capture at the last minute. The picture emerging is that of a weak President Farmaajo who has delegated much of his powers to Fahad, and Kheyre leaving him isolated on political and security decisions. The outlook for Farmaajo remains bleak. Fahad is now the new War Lord, gaining control over intelligence and security institutions and consolidating his power, and establishing paramilitary militia forces while using NISA to eliminate opposition figures. Farmaajo’s earlier decision in March to delegate selection of his government to Fahad Yasin is why Kheyre’s government is failing. A government full of Kheyre friends, and Fahad loyalists and family members focused on weakening Somalia is doomed to fail. The Kheyre government is not functioning; therefore its time Farmaajo replaces Kheyre with more competent new prime minister. In conclusion, Kheyre is compromised by Fahad, who poses clear and present danger to the future Somalia. President Farmaajo must wake up before it’s too late and dismiss Fahad and find a competent and loyal chief of staff to replace him. Dr. Ahmed Ibrahim is a former senior United Nations official who served in Africa, the Middle East and the United Nations in New York. Dr. Ibrahim is a security and development consultant as well as freelance writer and report based in Nairobi, Kenya.